Anna Olivia Cornish was born on 3 August 1789. She married Dea. Theophilus Humphrey, son of Deacon Theophilus Humphrey and Hepzibah Cornish, on 31 August 1836. Anna Olivia Cornish died on 15 October 1847 at age 58. Flora Humphrey was born on 24 October 1798.1 She was the daughter of Dea. Theophilus Humphrey and Cynthea Hayden.1 Flora Humphrey married Jasper Case, son of Capt. Fithian Case and Amarilla Humphrey, on 20 March 1817. Flora Humphrey married Smith H. Salisbury on 20 April 1830. [S275] Frederick Humphreys, Humphreys, Page 439. Jasper Case was born on 15 December 1796 at Canton, Hartford Co., CT.1 He was the son of Capt. Fithian Case and Amarilla Humphrey.1 Jasper Case married Flora Humphrey, daughter of Dea. Theophilus Humphrey and Cynthea Hayden, on 20 March 1817. Jasper Case died on 29 July 1825 at age 28. [S59] Ruth Cost Duncan, John Case, Page 58. Smith H. Salisbury married Flora Humphrey, daughter of Dea. Theophilus Humphrey and Cynthea Hayden, on 20 April 1830. Smith H. Salisbury died in 1833 at Rochester, Monroe Co., NY. [S275] Frederick Humphreys, Humphreys, Page 440. [S275] Frederick Humphreys, Humphreys, Page 602. [S275] Frederick Humphreys, Humphreys, Page 603. Maria Humphrey was born on 15 July 1807. She was the daughter of Dea. Theophilus Humphrey and Cynthea Hayden. Maria Humphrey married Harry Chidsey on 10 September 1827.1 Maria Humphrey died on 25 August 1882 at Avon, Hartford Co., CT, at age 75. [S275] Frederick Humphreys, Humphreys, Page 604. [S275] Frederick Humphreys, Humphreys, Page 605. [S275] Frederick Humphreys, Humphreys, Page 608. Fanny Case was born on 7 September 1818. She was the daughter of Jasper Case and Flora Humphrey. Jasper E. Case was the son of Jasper Case and Flora Humphrey. Jasper E. Case died in infancy. George Snow was the son of Miletus H. Snow and Flora Humphrey. George Snow died at dysentery. Minerva Street was born in August 1828. She was the daughter of Charles B. Street and Cynthia Humphrey. 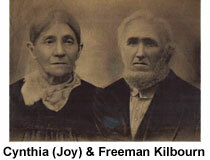 Cynthia Joy was born on 2 February 1826 at Tioga, Danby Co., NY.1 She was the daughter of Alvah Joy and Tirzah Humphrey.1 Cynthia Joy died on 29 March 1903 at age 77. [S275] Frederick Humphreys, Humphreys, Page 441..
[S275] Frederick Humphreys, Humphreys, Page 440, 605. Tinnie D. Hewett was born on 1 November 1864 at Berlin, St. Clair Co., MI. She was the daughter of William Hewett and Minerva Merrill. Tinnie D. Hewett married James Brettle Thompson at Tientsin, China. Tinnie D. Hewett died in 1897 at Shansi, China. Tinnie D'Etta Hewett was educated at Oberlin College in Ohio, and graduated in 1888. In 1890 she became a missionary in China and on Oct. 25, 1892 she married James Brettle Thompson in Tientsin, China. James Thompson was also a graduate of Oberlin College and had set out on Wesleyan missionary work in 1885. James was not an American at that time as he was born 1861 in Harbour Grace, Newfoundland, a dominion of Britain, and was a British citizen. His parents and their siblings had emigrated from Yorkshire in 1829, and the family at large enjoyed a very prominent status as professionals, doctors, and politicians. The genealogy of the Thompson family is fairly extensive throughout Newfoundland and northern Britain, and includes a few notable persons of some historic interest in Canada. Tinnie and James had 3 children, the third of which resulted in the death of Tinnie during childbirth in 1897 in Shansi, China. The children were all born in China presumably, namely Ada, Marian, and Ethyl. I believe Tinnie died giving birth to Ethyl, but it was Ada that died that same year. The couple had actually returned to the United States in 1895 to seek treatment for complications from an earlier birth, and returned to China the year of her death. After Tinnie's death, a rather distraught James resigned missionary work and returned to Newfoundland where he was employed by his brother for a short time before moving to the United States. Probably a good move on his part; a short time after he'd left, the Boxer rebellion brought about the murder of all of their colleagues in China. His purpose in the United states after the turn of the century and the fate of his 2 children are not known, but we do know he died in Minneapolis on April 10, 1932. I would think that by this time he must have become an American citizen. Other Americans in his genealogy that we are aware of are his uncle William R. Thompson of New York (formerly of Yorkshire, Eng. ), and an extensive collection of Thompsons in New Hampshire and Massachussetts resulting from the emigration of his nephew, Archibald Thompson. Harry Chidsey married Maria Humphrey, daughter of Dea. Theophilus Humphrey and Cynthea Hayden, on 10 September 1827.1 Harry Chidsey died on 16 May 1882 at Avon, Hartford Co., CT.